You’ll note that we have started collapsing the context menu a bit, the list of commands are getting long! 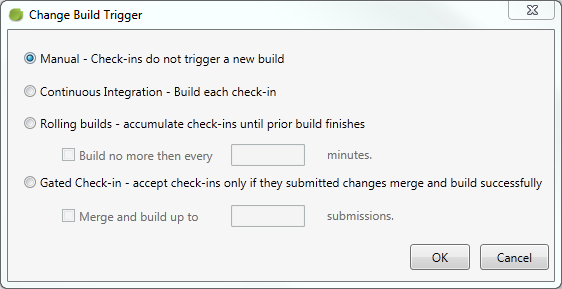 The only thing missing here is the Scheduled trigger option, you’ll have to do that using Team Explorer for now. In this view you can quickly see all the resources and their status. You can also view the build directory of each build agent and the tags that are associated with them. On the action menu, you can enable and disable both agents and controllers (several at a time), and you can also select to remove them. Our plan is to add more functionality to this view, such as adding new agents/controllers, restarting build service hosts, maybe view diagnostic information such as disk space and error logs. Hope you’ll find the new functionality useful. Remember to log any bugs and feature requests on the CodePlex site. The book is written by a fellow Visual Studio ALM MVP Mathias Olausson and his colleague Joachim Rossberg. It is a very comprehensive book that covers both all aspects of ALM in general and also how to implement these practices with Visual Studio 2012. The book also has several chapters dedicated to measuring your improvements by using ALM assessments and metrics. Together with todays announcement that Visual Studio 2012 as been officially released, the ALM Rangers have also simultaneously shipped (“sim-shipped”) a massive set of solutions for feature gaps and value-add guidance for the ALM community. I have been a part of the Team Foundation Build Customization Guide, which have been updated with new features in Visual Studio 2012, as well as the top requested features from the first version of the guidance. 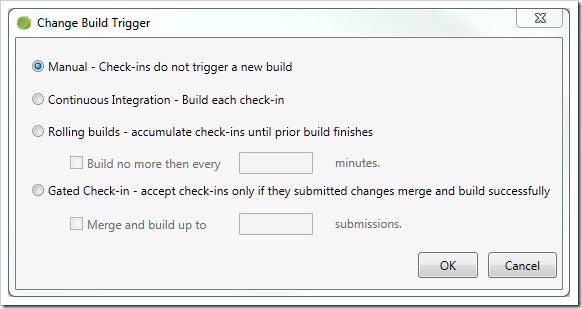 As part of this guidance, we have also developed the Community TFS Build Manager, a Visual Studio extension that simplifies a lot of tasks when working with TFS Build. It now exist both for Visual Studio 2012 as well as for Visual Studio 2010. I’d like to thank the rest of the team for doing such a great job, especially Mike Fourie who has been driving the entire project in style! I am proud to be a part of the ALM Rangers group, everybody involved put in a considerable amount of their (already limited) spare time to produce top quality guidance and tools for the community. Author Jakob EhnPosted on August 16, 2012 Categories TFSLeave a comment on ALM Rangers Readiness GIG has shipped!